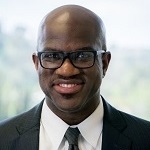 Brandon Dixon-James joined the management team at Associated Financial Advisors as of July, 2017, although his financial planning career dates back more than a decade. As a professional CERTIFIED FINANCIAL PLANNER (CFP™), Brandon helps clients identify, define, pursue and achieve their financial goals. Offering a boutique level of service that allows him to work closely with each client, Brandon uses his expertise to develop a customized, individual strategy catering to their unique financial needs. Brandon is passionate about giving back and helping others find the financial resiliency within themselves. An established and sought-after speaker throughout California, he routinely shares his expertise with various young professional training programs to drive financial literacy. He has also been a presenter and volunteer for the CFP™ Board’s “Financial Planning Days,” joining the effort to increase financial awareness in our communities. A graduate of California State University Fresno with a degree in Business Administration and an emphasis in Finance, Brandon is a native of the San Joaquin Valley and has 2 young children with his wife, Nicole. Together, they live an active, healthy lifestyle, with deep involvement in their children’s activities, church, and embracing each moment of life’s journey.